What are some of your favorite movie trailers? What trailers made you think, “Holy crap, I NEED to see this movie!” And I’m talking beyond franchise trailers where you’d be excited beyond the content of the trailer, which ones pulled you into a movie that you didn’t know anything about and got you excited about something you’d never heard of? Link the specific version if you can! Extra points for trailers that made terrible movies shine like gold. This reply was modified 1 day, 22 hours ago by Heptapod. This reply was modified 1 day, 21 hours ago by Riley. 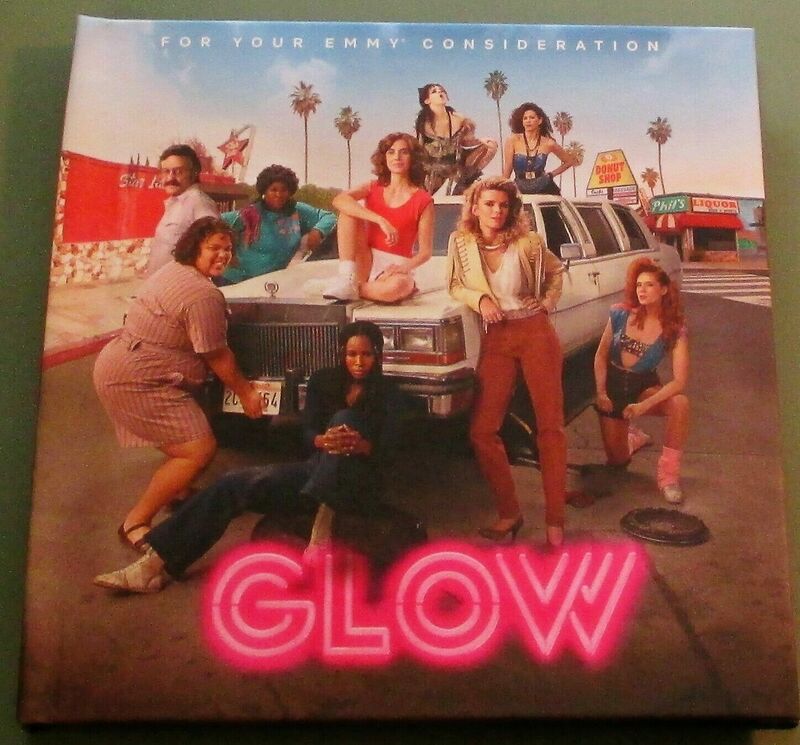 GLOW is probably close to a lock in series, and Gilpin is competitive for the win in my opinion, but I hope that they recognize this show to its full potential. I really REALLY hope Brie gets her EXTREMELY deserving nomination, as she was even better in season two than she was in season one. She can probably get it too, if she campaigns right. Seeing as how she was at the top of every snub list last year, voters probably know that she’s one of the first in line to get a makeup nod this year (a la Kemper and Rae). I’m not predicting any writing noms, but the show is INCREDIBLY well-written, especially the one where Tammé visits her son and the one in the hospital, and it would be a shame if it missed in that category again. Directing and Marc Maron would be greatly deserved recognitions too, but ultimately they probably won’t make it. It did get a directing nomination last year though, so maybe it could repeat there too? But I’m not banking on it. Okay, I need to stop my rant now, but I just hope that this gem of a show gets the nods it deserves! This reply was modified 2 days, 7 hours ago by Heptapod. Note that they have high hopes for Dead to Me—even higher than they have for never-snubbed House of Cards and Unbreakable Kimmy Schmidt. I think that they’re skipping Kimmy because they’re probably fairly sure that it’ll get nominated. All of the shows that they’re campaigning seem to either be new or are probably at high risk of getting dropped or forgotten because they premiered so early (GLOW and Ozark). Everyone knows Kimmy and will probably vote for it, so they’ll probably push their focus to shows that they actually need to campaign. Also, Netflix ignoring Hill House yet again is exhausting. Let’s hope that it sticks in voters’ minds well enough and that they’ll still vote for it anyway. This reply was modified 3 days, 5 hours ago by Heptapod. I feel like they should make guest a percentage rule rather than an episode rule, like how they do with the supporting categories in limited. It’ll be super unfair if Seehorn has a great episode but is ineligible for guest because she had less than a minute of screentime in two episodes. These categories are stressing me out SO MUCH. It’s so stacked, but it seems that the only shows that everyone can agree positively on are Escape at Dannemora and Sharp Objects. All the others seem to have mixed or lukewarm reception (Fosse/Verdon and True Detective), aren’t the kind of thing the Emmys would normally be attracted to (Hill House and Maniac), or just don’t seem to have discussion around them (AVES). And then there’s the diversity question. There’s no way that Ali will be the only nominee of color in the entire field, because the Emmys love their diversity, but I also don’t know who could join him. The entire leading actress category is white as hell (not a single contender of color?). Native Son came and went without ANY fanfare, so I doubt Ashton Sanders’ chances. Jeffrey Wright could be a namecheck, but being so low on the ballot, I doubt it. Niecy Nash, Michael K. Williams, Jovan Adepo, and John Leguizamo’s chances all depend on how When They See Us is received (and at this point, I don’t think it’ll build enough buzz in time with that May 31 release). And there are so many supporting actors competing for spots in that show that they might just cancel each other out. Les Misérables is looking like a non-factor, so I would doubt David Oyelowo’s chances. Rent Live was critically panned, and Brandon Victor Dixon isn’t popular enough to rise above that. But last year, there was only ONE all-white category, and after the minor controversy over the mostly-white winner lineup last year, I don’t think that we’re going to see any less nominees of color this year. I LOVE that the Emmys seem to make a point of recognizing a diverse slate of nominees, and it makes me so thrilled to see underrated POC like Letitia Wright and Adina Porter get those surprise nods, but it makes it so hard to predict. This reply was modified 4 days, 9 hours ago by Heptapod. This reply was modified 4 days, 23 hours ago by Heptapod. Is Netflix not submitting Kate Siegel? That would be a MASSIVE mistake. Also, are they not submitting Jackson-Cohen? Is that why they’re both not in the prediction center? Yes. YES! This is going to be absolutely EVERYTHING. Oh my god, I got ALL of the chills during that trailer. Kravitz looks like she could end up being the highlight of the season if her character goes in the direction it seems like she’s going. June 9 cannot come fast enough! That’s the only TGP win that I could see happening (other than guest). He’s got that veteran status, and if they don’t want to award Hader again (which seems likely as they’ve been avoiding repeats lately), Danson is probably the second choice. I don’t think TKM will strike with the Academy, so Douglas would probably be third. Honestly, the more I think about it, the closer I get to predicting Danson for the win. The only thing stopping me at this point is the idea that if everyone’s gonna give TGP votes in one category, it’ll definitely be for Rudolph. I think that the reason Katt Williams won for Atlanta last year is because voters knew that they were giving all of the other category votes to Maisel and Barry, and they wanted to give Atlanta at least ONE big win, so they put all their votes there. There’s a good chance she gets all the TGP votes instead of Danson. This reply was modified 5 days, 10 hours ago by Heptapod.